With the economy in a downturn lots of people are seeking to cut corners and save a bit. 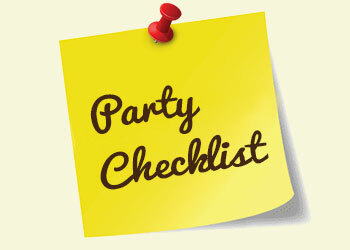 When it comes to throwing a party, we will show you ways to cut down on party expenses. Cutting down on some frills doesn’t mean you are cutting down any of the party fun though! How to have a party on a shoestring and still have fun! Throw out paper invitations, pick a cute invitation from hundreds of free ones online and send it to the invitees. Alternatively download some free clipart and make your own in Word and send it across. You could also buy cheap flat fill-in cards at supermarketrs and fill them up yourself. 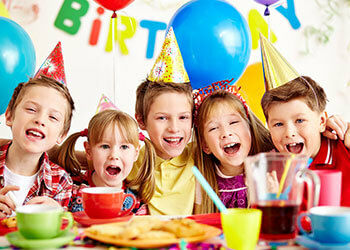 Instead of buying a branded theme for your child’s party go generic! Instead of Disney Princess go for a Pretty Princess theme. Generic themes are much more cheaper than branded ones. Why buy an expensive cake when you can bake your own? For very young children individually decorated cupcakes would be a great idea. If you are a bit unsure about your abilities, use a ready cake mix. Make inexpensive, easy to put together dishes like lasagne or a casserole. 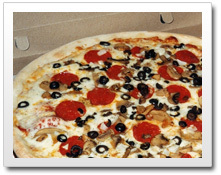 Consider ordering pizza! Cut down on the cost of hiring a professional magician/clown/entertainer. Request a talented relative or friend to put up a show. Alternatively have your party in a children’s park where the kids could enjoy themselves on swings, slides and seesaws. Who says party decorations need to be expensive? Use massive bunches of flowers or make your own with tissue paper. Make decorated fabric banners that you can re-use. Cut shapes out of colored card and make danging mobiles. Paste family pictures on card and string them together to form chains. Make a big collage of your child’s pictures on the wall. For a grown up party use candles to create a stage setting and float pretty flowers in small bowls of water. For girls, provide some some colorful beads from your local craft store and let them make their own necklaces. Seeds for the garden might be another good yet inexpensive idea for both sexes. You can also look for small party favors at the dollar store.